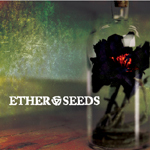 Ether Seeds looks down its broad nose at anything fancy, high tech, or electronic, keeping its music pure, simple and undiluted by excess trimmings. With songs that manage to strike an emotional chord and at the same time launch into resonant, riveting power chords, vocalist Dustin Lowery's dream of bonding with fans through his music is not too far off. The hooky first single Save Your Own Life will burrow its claws into your memory with its tension and release, Despite originating from geographically varied locales with very different sonic identities, this quartet has converged on common ground with its own distinct music, cultivating organic hard rock that at once pays homage to classic rock, all the while maintaining a thoroughly modern edge. The end result is the type of rock fury that true rock 'n roll fans live and die for.